Digital Solutions | Polestar Consulting Pvt. Ltd.
Every day the world is shifting more towards new digital media and interactive experiences. With rapidly-evolving technologies, changing consumer preferences and oftentimes competing channels, many organizations struggle with how to transform internally to meet the challenges of this new, always connected digital world. We can help. We enable organizations to create engaging and consistent digital experiences across every touch point, providing new opportunities for growth. Track, manage and store documents and reduce paper. A high-performance, intuitive document management system that offers the power of enterprise document management to mid-sized companies and large organizations. Our solution can help any kind of organization anywhere in the world gain control over their documents, with a particular focus on fast content retrieval and business process automation. Our document imaging centers, document scanning and indexing services and archive and secure storage solutions can help accelerate your transition to a more digital workplace. Our team will work with you to design a document imaging roadmap to achieve your short-and long-term objectives. 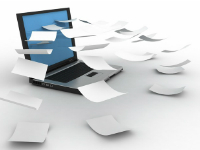 Together we’ll design a document conversion approach to achieve your targeted efficiency gains. Your information will be scanned quickly and delivered through our secure imaging and storage facilities network. Our solution development experts work with you to assess your process and recommend ways to increase efficiency by managing your data digitally. Making content widely accessible, searchable, and portable means making it digital. We design and develop manual processes & automated routines that transform complex designed content into digital distribution formats. These processes & transformation routines are flexible and configurable to meet a variety of content needs and systems. Our team of Conversion Specialists and Subject Matter Experts meticulously plan presentation and layout design to make content informative and enhance engagement. We specialize in developing eBooks with flexible layout that fit all screen sizes -small mobile phone screens to large reader screens. Based on the reading system, we build functionalities like full page zoom, single page view, embedded media, animation and interactivity to bring in more life to the content. Our proficiency in handling complex layouts across children’s books, travel guides, cookery books etc., are well accepted in the industry. Transformation to digital formats requires not just the understanding of “content” but also “context” that is used by readers or consumers to search or browse content. Such context is established through tags or metadata that provides information about the content being used. Our consultants can also work with you to identify which tags are best suited to categorize, describe or store related information such as rights. Once the metadata schema is established, various formats of content or content units (tables, images, illustrations) are tagged and quality checked by our teams for better discovery. With HTML5, ebooks and other related applications become more responsive, and it creates a captivating and enriching experience for users. As more and more people use smart devices that do not support Flash, publishers must deal with the widening gap between the existing Flash-formatted content and the preference for HTML5. We bridge this gap by providing quality HTML5 conversion services to our clients. Our team of e-developers and mobile programmers are well-versed with conversions regarding design, graphics, content formatting, and user interface. We are able to provide end-to-end solutions that are more cost- effective than converting your content from one format to another. Our refined workflows ensure smooth transitions from the Flash format to HTML5 to support new devices. As HTML5 is becoming a widely supported standard for content on the internet, it has become increasingly important for us to provide Flash-to-HTML5 conversion services. Companies will surely benefit from the innovative functionalities that HTML5 offers. Our continued pursuit of innovation through research ensures that SPi Global employs only the latest and most effective solutions of Flash-to-HTML5 conversion. 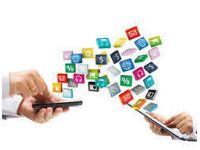 We will make sure that your content is flawlessly supported by popularly used HTML5 mobile devices such as the iPhone, iPad, and Android devices. Polestar’s Digital solution offerings are designed to touch all aspects of a digital transformation journey for an enterprise by using a combination of business and technology capabilities. End to End Content solution for your brand or publication from strategy to implementation. Our Digital solution offerings are designed to touch all aspects of a digital transformation journey for an enterprise. Our Digital solution using a combination of business and technology capabilities. 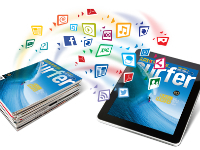 Our Digital solution provides End to End Content solution for your brand or publication from strategy to implementation.